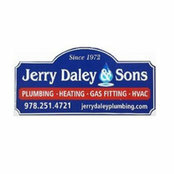 Since 1972, Jerry Daley & Sons Plumbing & Heating, Inc has been offering great home improvement and remodeling to North Chelmsford, MA and the surrounding communities. From simple upgrades to extensive renovations, we can help you out! We personally handle your project You should enjoy your home for years to come. We'll consult with you to make sure we understand all your needs. We help make your structure a home that you will enjoy for years to come. Add value quickly to your home by updating and remodeling your kitchen, bathroom, or heating system! We've gained all our knowledge and experience by working on large and small projects all throughout the community. Trust our over 40 years of experience!